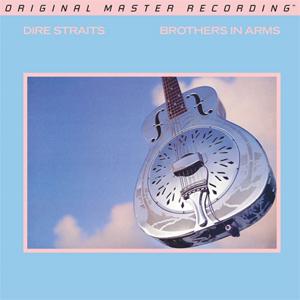 Mastered from the original master tapes, and possessing a richness befitting the album’s stellar reputation, Mobile Fidelity’s numbered limited-edition hybrid SACD of Brothers In Arms breathes with transparent highs, atmospheric heft, and lifelike tonalities. The sense of realism this edition delivers will leave slack-jawed even the most hard-to-please audiophiles. As the recipient of the Grammy for Best-Engineered Recording, the album has always been a go-to sonic standard, but never has it sounded so reach-out-and-touch-it realistic as it does here. All of the hallmark characteristics—ample spaciousness, ideal balances, widescreen dynamics, immersive depth, lush production—are here in spades. As is music-making of enviable proportions.